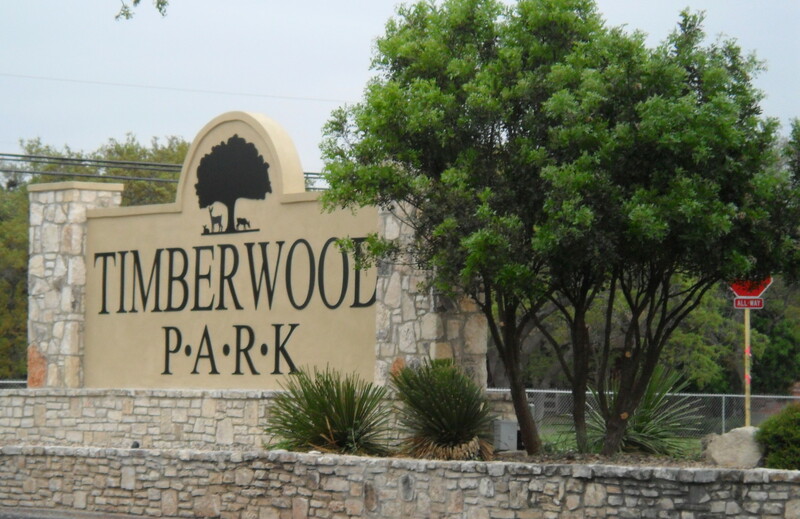 A TWP property owner knows a contractor/realtor with Magnolia Realty in San Antonio. This contractor/realtor specializes in renovating older structures, has a portfolio of jobs done in this area by his company and has extensive background managing projects of this nature. He visited the TWP Clubhouse with the property owner recently and provided some great and affordable updating and improvement ideas. Some examples include metal roof, Florida room for exercising equipment/pool tables, removing walls for added space, clean exterior rock-work, updating kitchen, etc. It is his opinion doing these upgrades and remodel can all be accomplished for less than $500K. His company is willing to produce sketches, provide design concepts and costs to the community which would show options and best use of the existing footprint while expanding, upgrading and improving it. For this proposed project the board has kept the bidding process limited to a very small circle and has not shared pertinent information about the process with the entire community via an open outside committee process built of the many professionals living in our community with expertise in this area. Outside committees would allow for open and transparent bidding process which is vetted by independent means, provides options of differing caliber and scope, and concludes based on a set of criteria how a bid might be accepted without conflict of interest or any possible personal influence involved. How do we know, for example, our POA money is being spent wisely without bias or favoritism toward a vendor, builder, or architect without an independent review by unaffiliated community members who do not hold board positions? The board has issued limited statements from minutes and in the President’s letter to the community in our monthly newsletter as their main communication to the community at-large updating their current process. Other than that, a few proposed idea sketches presented at a meeting, as well as a master plan which was developed solely by the board have been the bulk of the communication to date. There really hasn’t been much provided to the community of a firm and clear nature. Currently, our President lists status of this proposed project similar to those statements made in the minutes from the last meeting which have been described as outside design is underway and is expected to be completed in April and then a community vote to continue the project will follow that work being completed. While a vote was taken at one of the POA meetings which was approved by the board members to spend around $30,000 +/- to work on development of the design and pay an architect, who else besides the board was involved in the process of selecting the architect and ensuring design was suggested by a majority participation of the property owners who will be paying for this building? How many other dollars have been expended reaching this juncture without complete community vote or involvement? Who else in the community has been involved with any part of the process thus far besides the board to provide any type of oversight? So far, a survey sent more than a year ago to property owners who participate in electronic communication as a means of receiving information from the POA, asked for responses ranked in importance as to what property owners felt was important in a remodel of the current clubhouse. This has been the only official feedback from property owners to date and was limited to those who participated in the survey or received it to participate. At the time it created a lot of confusion for some property owners who participated in it thinking they were providing an initial discussion about potential options for remodeling the clubhouse, not a new build. Various conversations and presentations have been held at some of our HOA meetings since then but did not include majority property owner feedback of any recorded measure or participation. Simply those who attend the meetings being briefed who then provide verbal feedback to the board are the gauging meter for continued progression. This is not seeking majority feedback or even a 10% minimum with most meetings having attendance of 60-70 persons (some of those being couples who can provide only one vote for a given measure). The property owner who sought other options on their own time is concerned with spending money beyond our ability to pay cash, depleting our reserves to fund an “I want” rather than a “we need” and building something that is neither warranted nor wanted by the bulk of the community. The author of this blog concurs with this thought as well. The property owner, as well as this blog author, fully understand the time, energy and commitment the board makes to volunteer in our community and this is not casting stones so let’s not turn this discussion into “someone is picking on the board that works so hard….”. Remember, we don’t all have to agree, but we all should be able to have a discussion without being relegated to name calling, social media blitzes trying to undermine the meaning of the message/discussion, credibility of the discussion, etc. The property owner, as well as this blog author, continue to desire a reasonable approach to remedying what is seen as an outdated and dysfunctional clubhouse without costing the community hundreds of thousands of dollars which need not be spent. Oversight by outside committees independent of the board who will focus on participation of the entire community is essential to this process rather than a totally board orchestrated and controlled endeavor. The property owner is deeply rooted in our community, has served on many volunteer boards and other HOAs and has a wealth of knowledge regarding the construction industry, management of an HOA/POA and where its focus should be with regard to best use of operating dollars. The same holds true of this blog author and no we are not one in the same individuals. Once again, the question is asked….is this good stewardship and management of our funds? Remember, first and foremost a POA (Property Owners Association) is supposed to represent best interest of the majority it serves always. Additionally, a POA has a mandate to manage and maintain the common areas of the development it serves while ensuring collection of POA Assessment Fees which make that operation possible. As a part of that process the POA should provide fiscally sound choices about how necessary monies are spent and in the case of projects which are not essential but may be an improvement or upgrade to those common areas which EVERY property owner has a percentage of ownership in, ensure EVERY property owner is given ample opportunity to provide feedback, vote and participate in the entire decision making process of spending those “non-essential” dollars rather than presenting only one final alternative which must be voted up or down. It is the opinion of this blog author as well as the property owner who took it upon themselves to get an opinion by a local contractor, that property owners have lacked the opportunity to see and visit other alternatives which could be just as or more beneficial than a new build and cost us significantly less. Think of the number of public meetings the county or city holds to allow and receive public feedback before a large-scale project is approved in final as an example of what should be happening. Many opportunities are provided to view, provide comment, suggest alternatives, offer expertise and suggestions, vote, etc. before any project receives final approval. It would seem prudent to give other options a full vetting with property owner input before any final vote takes place to begin the process of construction for any part of the clubhouse or for that matter any other portion of the park master plan which was essentially also developed solely by the board. Our money used wisely matters to all of us; we should not need to finance anything done in our park as an “I want” rather than a necessity or urgent need with the type of capital we have available on an annual basis if our funds are used wisely and the best fiscal stewardship is provided. As always, thank you for your time. Your thoughts are appreciated and encouraged!